FREE to Join. FREE to Use. 100% Cashback. Message Board and Guest Book updated. Message Board and Guest Book are now back open to new entries. Added screenshots from "Brothers & Sisters" to the Filmography section. Added screenshots from "We Are The Hartmans" to the Filmography section. Added screenshots from "The Perfect Family" to the Filmography section. Added a "The Exorcist" page to the Theatre section. Added some more News including a link to an old interview. Added Richard's Webbio Interview to the Miscellaneous section. Added Richard's Emmy TV Legends Archive Interview to the Miscellaneous section. Added some more photos to the News section. Added some photos to the News section. Added an interview Podcast to the News section. Added some more exclusive Photographs of Richard's last home to the Miscellaneous section. Added some exclusive Photographs of Richard's last home to the Miscellaneous section. Added screenshots from "Whispering Smith" to the Filmography section. Added screenshots from "Chuck" to the Filmography section. Added screenshots from "Leverage" to the Filmography section. Added another interview and an awards to the Video Clips in the Miscellaneous section (page 3). Added two more videos to the Video Clips in the Miscellaneous section. Added screenshots from "Strength And Honour" to the Filmography section. Added a link to another video to the Video Clips in the Miscellaneous section. Revised the Frequently Asked Questions. Added a video to the News section. Added screenshots from "The Thorn Birds: Old Friends New Stories" to the Filmography section. Added screenshots from "Inside The Swarm" to the Filmography section. Added links to another 10 videos to the Video Clips in the Miscellaneous section. Added a video to "My Fair Lady" page in the Theatre section, and to the Video Clips in the Miscellaneous section. Added another video to the Video Clips in the Miscellaneous section. Added another 4 videos to the Video Clips in the Miscellaneous section. Added another photo to the Painting Gallery.  Added a video to the Painting Gallery. Added the press release of "The Thorn Birds" - The Musical to the Miscellaneous section. Added some more photographs to "Spamalot" page in the Theatre section. Added a new video to the Main page. Added a video of Richard reading Martin's book "Forever Buster" to the Miscellaneous section. Added pictures from Richard's interview guest appearance on "ABC7 News" to the Filmography. Added some photographs to "Spamalot" page in the Theatre section. Added screenshots from "Papakolea: A Story Of Hawaiian Land" to the Filmography section. Added pictures from Richard's interview guest appearance on "Sky & Stars" to the Filmography. Added some photographs from the Barnes & Noble Book Signing to the Miscellaneous section. Added some photographs from the Borders Book Signing to the Miscellaneous section. Added pictures from Richard's interview guest appearance on "Inside The Tower: We Remember" to the Filmography. Added Richard's extract from the book "Crisis: 40 Stories Revealing the Personal, Social, and Religious Pain and Trauma of Growing Up Gay in America" to the Miscellaneous section. Added pictures from Richard's interview guest appearance on "T FET PA Denmark" to the Filmography. Added pictures from Richard's guest appearance on "Desperate Housewives" to the Filmography. Added another picture of Richard Chamberlain in 2007 to the Miscellaneous section. Added pictures from Richard's interview guest appearance on "KITV4 This Morning" to the Filmography. Added pictures from Richard's interview guest appearance on "KHNL8 Today" to the Filmography. Added pictures from Richard's interview guest appearance on "KHON2 News" to the Filmography. Added pictures from Richard's interview guest appearance on "KGMB9 Sunrise" to the Filmography. Added pictures from Richard's interview guest appearance on "Arthel & Fred" to the Filmography. Added screenshots from "I Now Pronounce You Chuck And Larry" to the Filmography. Updated the Frequently Asked Questions. Added pictures from Richard's interview guest appearance on "Larry King Live" to the Filmography. Added pictures from Richard's interview guest appearance on "Larry King Weekend" to the Filmography. Added pictures from Richard's interview guest appearance on "One On One With Paul Costello" to the Filmography. Added pictures from Richard's interview guest appearance on "Live Regis & Kathie Lee" to the Filmography. Added pictures from Richard's interview guest appearance on "Dateline" to the Filmography. Added pictures from Richard's interview guest appearance on "KTLA5 Morning News" to the Filmography. Added pictures from Richard's interview guest appearance on "The Late Late Show With Tom Snyder" to the Filmography. Added pictures from Richard's interview guest appearance on "The View" to the Filmography. Added screenshots from "The Peter Alexander Show" to the Filmography section. Added screenshots from "Richard Chamberlain On The Thorn Birds" to the Filmography section. Added some new screenshots from "Joy In The Morning" to the Filmography section. Added one more photo to Other Pictures in the Miscellaneous section. Added some Other Pictures to the Miscellaneous section. Added some "Desperate Housewives" clips to the News section. Added some photographs from the world premiere of "Strength And Honor" to the Miscellaneous section. Added two pictures from "Night Of The Iguana" to the Theatre section. Added details of Martin Rabbett's (Richard's partner) book to the Miscellaneous section. Added two pictures from "Blithe Spirit" to the Theatre section. Added another picture from backstage at "My Fair Lady" to the Theatre section. Added some more pictures of Richard Chamberlain in 2007 to the Miscellaneous section. Added screenshots from "A Capitol Fourth" to the Filmography section. Updated the last three Interviews to include copyright notices, since they are being reproduced elsewhere without permission. Updated the "Thank You" page in the Miscellaneous section. Added some pictures of Richard Chamberlain in 2007 to the Miscellaneous section. Added a "Dr. Kildare" episode guide to the Miscellaneous section. Added pictures from Richard's guest appearance on "Nip/Tuck" to the Filmography. Added pictures from Richard's guest appearance on "Raymond Massey: Actor Of The Century" to the Filmography. Added some current photographs of Richard taken at the Carlton Hotel in Kinsale, Ireland, to the Miscellaneous section. Added pictures from Richard's guest appearance on "The Late Late Show" to the Filmography. Added screenshots from "Rebildfest" to the Filmography section. Added some more paintings to the Painting Gallery section. Added pictures from Richard's guest appearance on "The 47th Miss Universe Pageant" to the Filmography. Added screenshots from "Blackbeard" to the Filmography section. Added screenshots from "Christmas Concert In Finland" to the Filmography section. Added screenshots from "Hawaii: Perils In Paradise" to the Filmography section. Added screenshots from "Greed & Wildlife" to the Filmography section. Added pictures from Richard's guest appearance on "Arthur Freed's Hollywood Melody" to the Filmography. Added pictures from Richard's guest appearance on "Musical Comedy Tonight" to the Filmography. Added pictures from Richard's guest appearance in "Hustle" to the Filmography. Added screenshots from "Japan: Memoirs Of A Secret Empire" to the Filmography section. Added pictures from Richard's guest appearance on "What's My Line?" to the Filmography. Added pictures from Richard's guest appearance in "The Deputy" to the Filmography. Added pictures from Richard's guest appearance in "Gunsmoke" to the Filmography. Added pictures from Richard's guest appearance in "Will & Grace" to the Filmography. Added pictures from Richard's guest appearance in "Rescue 8" to the Filmography. Added pictures from Richard's guest appearance in "Thriller" to the Filmography. Added pictures from Richard's interview guest appearance on "Hold On! The Dave Clark Five" to the Filmography. Added pictures of Richard's 1972 car to the Miscellaneous section. Added screenshots from "Hamlet" to the Filmography section. Added pictures from Richard's interview guest appearance on "After They Were Famous" to the Filmography. Updated the Filmography section and added screenshots from "River Song" and "The Astronomers". Added some more photographs to "Scrooge" page in the Theatre section. Added another article to the "Scrooge" page in the Theatre section. Added two more articles to the "Scrooge" page in the Theatre section. Added two articles to the "Scrooge" page in the Theatre section. Added a "Scrooge" page to the Theatre section. Added another two Richard Chamberlain Icons to the Miscellaneous section. Added some Richard Chamberlain Icons to the Miscellaneous section. Added some more pictures from "The Gilded Age: From Rags to Riches" concert. Added some pictures from "The Gilded Age: From Rags to Riches" concert. For Richard's birthday five new transcripts have been added, including two from 1989 and 1990 when tabloids outed Richard, which I feel are now appropriate to be included since Richard mentioned he would like to see copies of them now. Added pictures of Richard at the SAG 2004 Awards. Added some more photographs of Richard attending his Honorary Tree Planting. Added some photographs of Richard attending his Honorary Tree Planting. Added some pictures of Richard at the Shogun DVD & Book Signing. Added another Interview. (Larry King Live) Including 40 pictures. Added some pictures of Richard Chamberlain in 2003. Added some more photographs to "The Stillborn Lover" page in the Theatre section. Added three more reviews of Richard's new play to "The Stillborn Lover" page in the Theatre section. Added a second page of pictures of Richard at one of his book signings. Added a review of Richard's new play to "The Stillborn Lover" page in the Theatre section. Added some pictures of Richard at one of his book signings. Added some photographs to "The Stillborn Lover" page in the Theatre section. Added "The Stillborn Lover" page to the Theatre section. Added Pictures of Richard's TV appearance on "The View". Added Pictures to Interview 26. Added another Article (He Inspires Women -with the desire to darn his socks). Added some more News with a preview of Richard's book plus a full schedule of promotional events. Added Richard Chamberlain listings to the Auctions section. 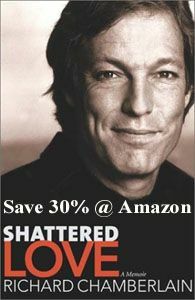 Richard's new book "Shattered Love: A Memoir" has now be released. Buy a copy today from Amazon.com (U.S.A.), Amazon.co.uk (U.K. & Europe) and Amazon.ca (Canada).